Tabby’s star has been in the news for the past few weeks for the first time since its discovery several years ago. As a star that is both bigger and larger than our sun, it was surprising when it started dimming, but a recent discovery confirms that it’s due to dust – not some alien megastructure. Despite there being a lack of any conclusive proof, humans have always imagined that there’s another form of intelligent life out there. With how expansive the universe is, it’s a definite possibility that we’re not alone, but with our current reach it seems that there’s no life nearby. When significant dimming was observed around KIC 8462852 – colloquially known as Tabby’s Star – many people – even some in the scientific community – proposed it could be some sort of alien megastructure. With no explanation for how the dimming occurred, it was as good a guess as any. That theory has since been debunked, due to crowdfunded research led by Tabetha Boyajian at Louisiana State University. These new findings, published in Astrophysical Journal Letters, destroy the possibility of an alien megastructure – at least around Tabby’s Star – reporting that the dimming is due to pockets of dust. The conclusion was reached by observing the star and seeing that Tabby’s star doesn’t dim on certain wavelengths, which would rule out a solid structure causing diminished light, as such a structure would diminish light across the entire spectrum. After the team discovered the dimming back in 2015, people began to propose different ideas for what exactly could be causing the fascinating phenomenon. Planets surrounding the star were suggested, but that was debunked because that would have caused diminished light at specific intervals while the actual dimming was somewhat random. Some proposed the (admittedly far fetched) idea of a Dyson sphere – an alien megastructure and hypothetical energy device that could be built around a star to absorb its heat and light to power advanced alien civilization. NASA explained why the idea of an alien megastructure was unlikely in this particular situation in a post on their website. While the idea of an alien megastructure is now off the table, it’s interesting that that was a conclusion that many jumped to. While an alien megastructure like a Dyson sphere was theoretically possible, the jump from an unexplained event directly to intelligent alien life was a bit of a stretch. It goes to show how badly people want to discover that there’s a species with advanced capabilities hiding out there, when there were more plausible explanations available all along. 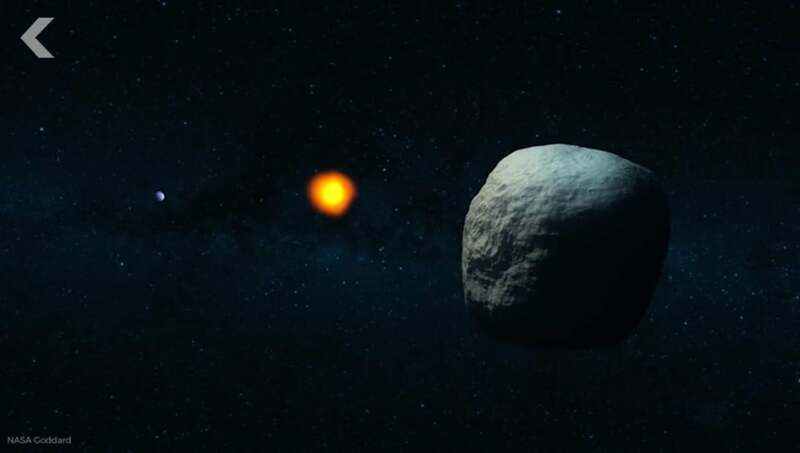 Boyajian and her team discovered Tabby’s star back in 2015 with the assistance of a team of citizen scientists in the online group Planet Hunters, and $107000 in funding for the current project was secured through Kickstarter.